Darlene Black was raised in the Society Hill section of Philadelphia, and is a graduate of Chatham College-located in Pittsburgh, PA. At Chatham she majored in Anthropology and Education. She is a former High School Science Teacher and, with her assistance, the students wrote science books for children. Her writings include: The Portrait Of Eternity, and The Sands Of Time-as part of the Anthologies- Gifts Of The Soul and The Fullness Of Time, published by The International Library of Poetry. 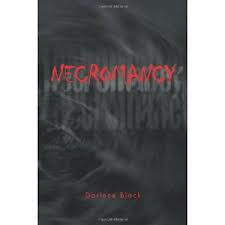 Necromancy is the author’s first novel, and she is currently working on her second-Hollis Hill, while pursuing an advanced degree in chemistry. Darlene Black grew up in Philadelphia, Pennsylvania and attended her neighborhood school-General George A. McCall. After that, she enrolled at South Philadelphia High School-where she was an honor student, and served as a writer for the school’s newspaper, The Southeron. With the desire to continue her education, she traveled to Pittsburgh and became a student at Chatham College, where she majored in Anthropology and Education. Several years after graduating from Chatham, she began working at a medical center in the Thermography Department. While employed there, she opened a boutique where she designed and made clothing for women. However, it was at this point in her life, she discovered that she loved writing and not making clothing. She began writing Necromancy. The author, later, began teaching high school science, while determined to complete the novel. 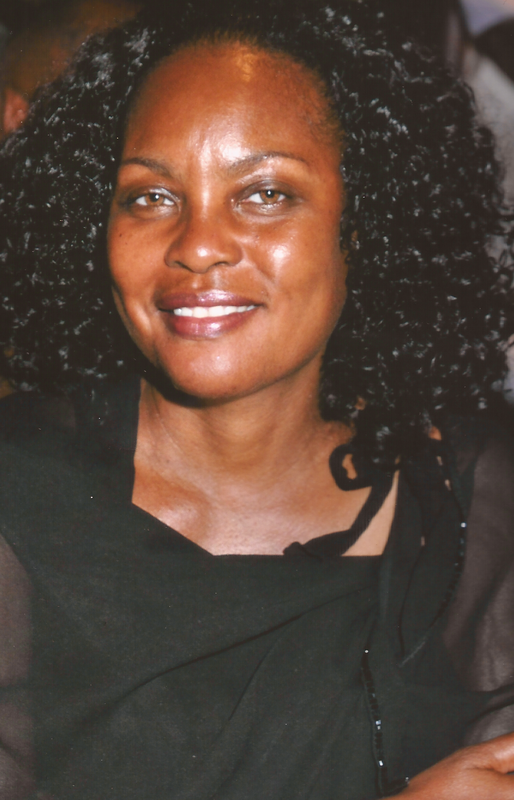 She has completed a manuscript for her second novel, Hollis Hill. Her other writings include: The Portrait of Eternity, and The Sands Of time-as part of the Anthologies- Gifts Of The Soul and The Fullness Of Time, published by The International Library of Poetry. Mauly Basterville is a sophisticated architect who is contemplating calling-off his engagement to a beautiful woman, because he fears the company she keeps. Zemoria Charnes, an old, eccentric woman who was chased-out of the South because-it is believed-she was connected to an occult mass-suicide. However, Mauly suspects Zemoria coerced his fiancée to believe: she could maintain her relationships with the dead. To get the facts about Zemoria and her strange dealings-with hope that his fiancée will disassociate herself, Mauly hires a “hard-nosed” South Philly investigator-Pete Perrell. And what Pete unravels is beyond belief- the final phase of Satanism…Passing the Veil. Would you believe there are many people who secretly confess they were born with veils over their faces? Due to this, they claim to constantly witness uncanny things, such as sightings of the dead, angels and the spirit of Lucifer. Is this a spiritual blessing?-as some claim it to be-or is it some type of satanic attack? What if, a close friend told you an extremely tall being, draped in black, was seen looking through her bedroom window located on the second floor of her home? And, after the being busted through the window, standing to the chandelier, a voice said, “Who am I that cometh for your soul?” What advice would you give your friend? That is the situation Hatalie Mickens found herself in after Lansandra Mack told her the exact same thing. Hatalie replied, “Only two individuals can claim your soul: God or the devil. That light, hanging up there in that ceiling, is up there nine-feet. My favorite pastime is scripture research, and if you done as much research as I have; you´ll know Lucifer is nine-feet tall and he is going to get you.” Spooked by the incident, Lansandra traveled to the South to locate Zemoria Charnes-the woman that would guide her through the “Passing Of the Veil Ritual” which would free her of a peculiar life. Q. I found out about your book “Necromancy” because one of your kids posted about you on a comment on another article about black horror writers. 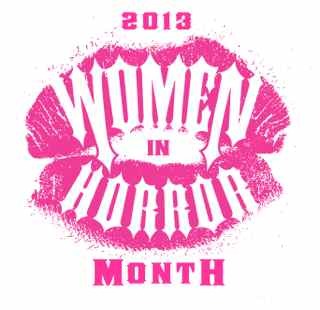 Were you surprised to find out you were on a list of “20 Black Women Horror Writers”? A. Yes, I was surprised and thankful that my name was included on the list. Q. Are you a big horror fan? What are some of your favorite writers in the genre? A. I am a “big” horror fan, and I do admire all writers of the genre. I feel all horror writers contribute their own unique-spin to the genre. Q. Like many women on our list, you also write poetry. What kinds of writing do you enjoy besides horror, and what can you tell us about your poetry? A. I enjoy reading about science and history. Pertaining to poetry, I find myself writing about the concept of time. Q. What inspired you to write “Necromancy”? Why did you choose the horror genre? A. When I was a child, my grandmother and great-aunt would always tell me scary stories-which I believe left me with an interest in horror. With that, I wrote Necromancy based on a strange story my grandmother had told me. Q. Were the places in the stories places that you’d been to in real life and were familiar with? Several of your characters are from Philadelphia like yourself – but you do any travel to help inspire you when dealing with characters like Zemoria Charnes, who was from the South? A. Almost every place in Necromancy really exists in Philadelphia, and I have been to those places. (In example, Old City is one of my favorite places in Philadelphia.) Adding, I do include my travel as settings when writing. Q. Did you have to do a lot of research into the occult and satanism when you were writing the novel? A. I did interview individuals whom all claim to have been born, as many of the characters of Necromancy, with the ability to interact with the dead and angels. A. I did complete it, and it is not related to Necromancy. It is a vampire novel. Q. Do you have a website or a place where fans of your writing can find you on the Internet? A. Yes. Goodreads and my Facebook.